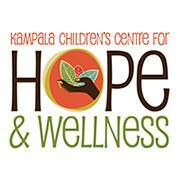 The Kampala Children’s Centre for Hope and Wellness is built and serving the students and staff at the center. To complete the upper level and the exterior walkways, we need your help. Join us for the first concert of the Destiny Africa 2018 US tour and a Uganda-inspired dinner. A fun night for the whole family. Bring your kids, friends, and neighbors! Purchase your tickets in advance through May 10th at 2:00 pm. Ticket price will increase to 50.00/ticket at the door. If you’re unable to attend but would like to contribute, your donation will make an indescribable difference in the lives and health of children and families in Kampala, Uganda. With deepest gratitude for any gift – thank you!